Summer is almost here, and that means a season full of BBQs and outdoor parties. Here are 14 hacks to make your summer BBQs better than ever! 1. Set out a bug spray and sunscreen station, like this. 2. Make a natural ant repellant of water and vinegar to keep ants away from food. Recipe here. 3. Put tea lights in water-filled mason jars, and add essentials oils to create natural bug repellent, like this. 4. Cover drinks with cupcake liners, and stick a straw through to keep bugs out of drinks, like this. 5. Quickly chill wine and other bottled drinks by putting them in a bucket filled with ice, water and salt. See how here. 6. Keep wine cold with frozen grapes instead of ice cubes so it doesn’t dilute, like this. 7. Keep a large bowl or pitcher of punch cold by adding a huge ice block, made in a cake pan or large tupperware container. No need to waste bags of ice or dilute your delicious concoction! See more here. 8. 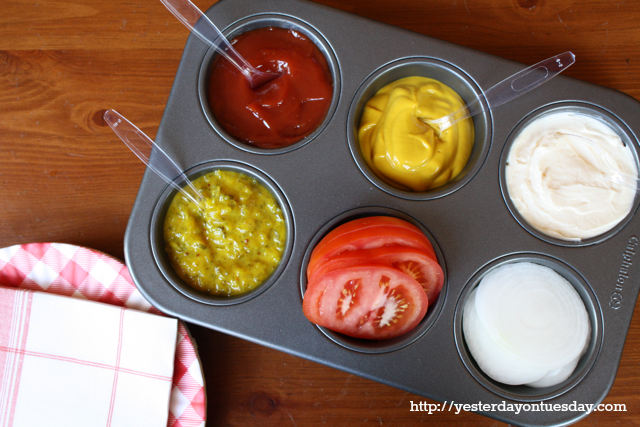 Serve condiments in a muffin tin, like this. 10. 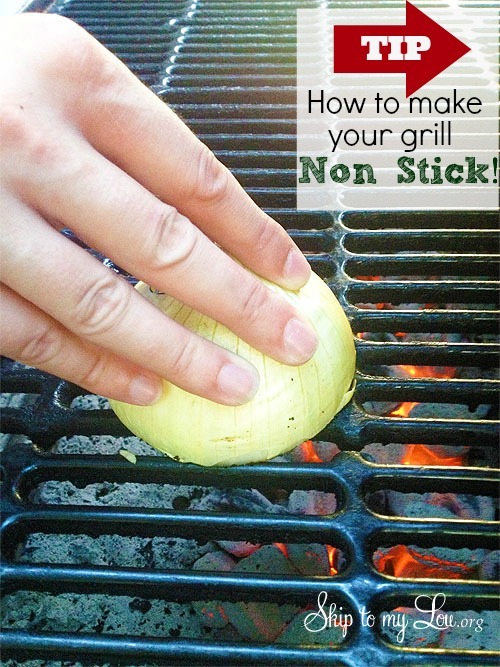 Rub half an onion on the grill to clean it and make it non-stick, like this. 11. Spiral cut your hot dogs before grilling. Looks cool, tastes delicious. Here’s how! 12. Grill fish on top of lemons to keep it from sticking and boost the flavor, like this. 13. Double your kabob stability by using two skewers instead of one, like this. No more meats or vegetables lost in the coals! 14. These Grilled S’more Banana Packets are easy, cooked on the grill you’re already using, and require no mess or clean up!